Samuel E. Smiley, DDS, graduated from The Ohio State University College of Dentistry in 1984 and established his practice in 1986 in Dublin, Ohio. He is a member of the American Dental Association, Ohio Dental Association, and the American Academy of Cosmetic Dentistry. 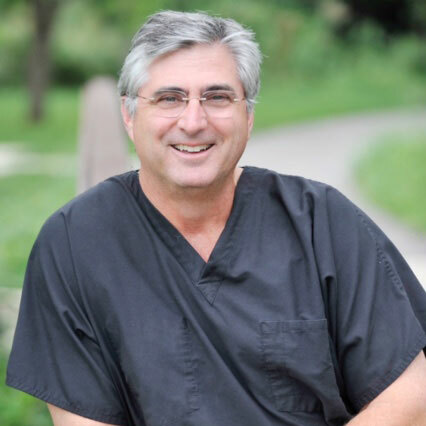 Dr. Smiley is on the Board of Directors for the Columbus Dental Society and works with the Columbus Zoo providing dental treatment for the gorillas. Dr. Smiley is the official dentist for the Memorial Tournament in Dublin. He has distinguished himself as a fellow of the Academy of General Dentistry, the International College of Dentists and the Pierre Fauchard Academy. Dr. Smiley believes that continuing education is the key to providing the latest advances in dentistry, completing an average of 50 hours of continuing education classes every year. Many community organizations have benefited from Dr. Smiley’s leadership. He was honored as the 1997 Dublin Business Person of the Year. He is past-president of both the Dublin Chamber of Commerce and the Dublin Fund, a founding member of the Dublin AM Rotary, and board member of the Prospect Bank of 1999-2004. He currently volunteers his time at the Columbus Zoo, providing dental care for the zoo’s animals, as well as serving on the Franklin County Veterans Service Commission. Dr. Smiley resides in Dublin with his wife, Susan. They have two daughters, Lauren and Katie.